Somehow, weddings have evolved in such a way that the wedding ceremony itself is the shortest part of your wedding day. 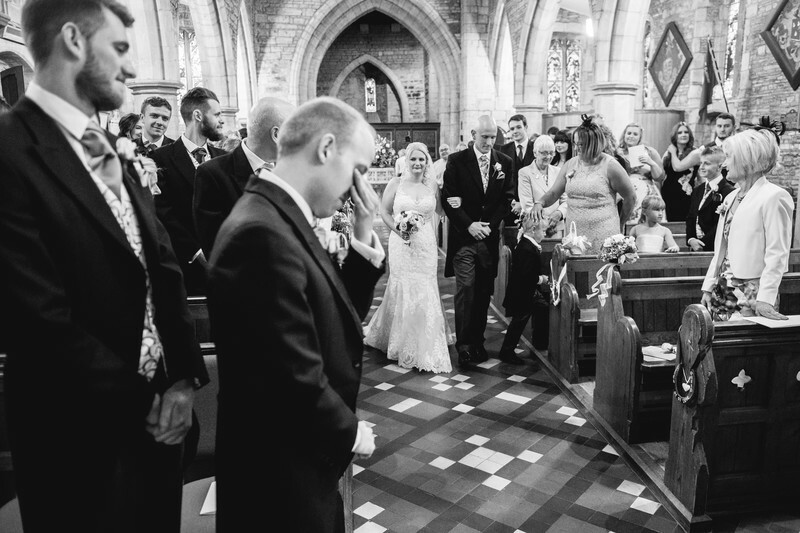 Whilst a church wedding will usually take 45 minutes, a civil ceremony can be over in as little as 12 minutes, so in order for you to make the most of this precious time, I've comprised a list of things you can do to ensure you receive the most amazing wedding photos, both during your ceremony, and your wedding reception too. Picture the scene: It's your wedding day, months of planning and thousands of pounds have gone into making this as perfect it can be, and right as you share your first kiss as husband and wife, a wedding guest holds a bright pink iPad in the air, directly in front of the photographer's lens. It sounds outlandish, but it's happened to me. All of my photos are available to my clients via their online galleries; they receive a link and a password to share with their guests, who can then download as many photos as they want, at full resolution, for free. This doesn't however stop what happens above, and many perfect moments have been ruined by someone pushing in front of me with their phone in order to get their own photo. Such is the way of the modern world. My suggestion: Have an unplugged wedding: Inform your guests before the day itself that you'd prefer them to keep their phones in their pockets and for them to enjoy the day as you intended. You get such a small view of the world through the back of a camera-phone, and you've paid a professional photographer a lot of money to capture the day for you. Trust them to do it, and have your friends and loved ones relax and enjoy the wedding in true 3D widescreen that your eyes provide - not through a 4-inch screen! This sounds like a really odd thing to have to say in 2018, but if you're getting married in church, please, please check that the vicar is happy for a photographer to take photos during the service. If they're unsure, express how important to you photos are. I encountered a very rude vicar last year at St Peters Church in Bromyard, whereby he told me that if I took more than 5 photos I'd be removed from the church! The worst part is, at no point had he mentioned this to the bride and groom beforehand, even though they had mentioned a photographer was coming during their wedding rehearsal. A good photographer is discreet and knows what to do and what not-to-do during a church service, but to be on the safe side - double check with the church. 3) No running in church! Take your time while walking down the aisle - whether you're walking towards the person you're about to marry, or leaving hand in hand, take your time and don't rush. Savour the moment, remember how it feels and try to take everything in. Keep your chin up, and smile at the person you're about to spend the rest of your life with. This is one of those pivotal moments of the day, so make it last. Walking slowly benefits me greatly too - I have more time to take photos, and there's a greater chance of you being blurred if you're running! ...should last 3 seconds! 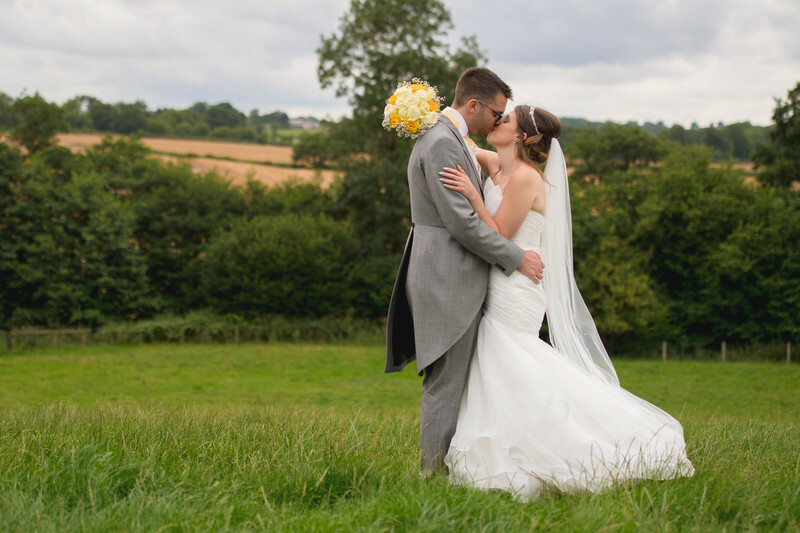 When you're in church, it's especially important to avoid a quick peck as quite often the vicar is moving from one location to the next, or has their arms in the air - all things that can get in the way of that perfect first kiss photo. I also say you should start your marriage how you wish to continue - with a proper kiss! So many weddings run over the schedule because people forget one main thing - that when you leave the church, registry office or ceremony room, you'll be swamped by guests wishing you well and giving you gifts. For a wedding of 60 people, this can easily last 20 minutes. 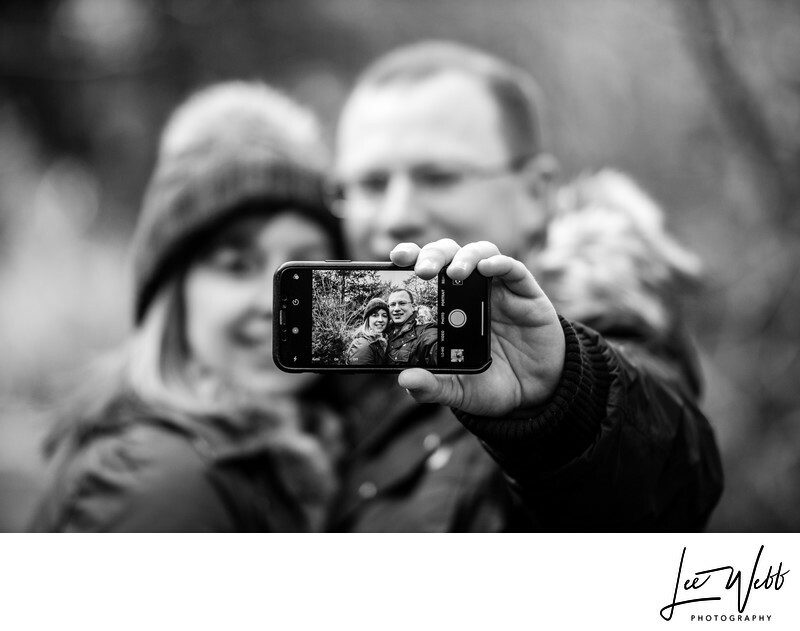 It's a great time to capture some candid moments of the guests, but if your wedding is a midday and lasts 45 minutes, don't expect to have any more formal photos taken until at least 13:05. I can honestly say that for a wedding of 100 guests, the average number of people who usually bring confetti is 3. If you're after that killer confetti shot, bring your own! 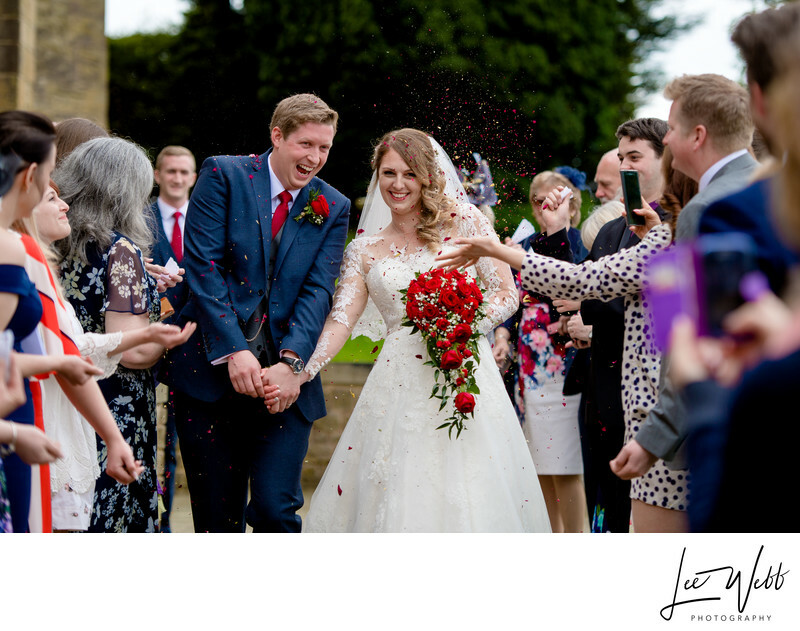 A couple of litres can be purchased online very cheaply, and if you get non-toxic, biodegradable confetti (such as dried flower petals) you can throw them pretty much anywhere you'd like. My top tip for your wedding - Have two small baskets of confetti and have the bridesmaids give it out when you're both ready. 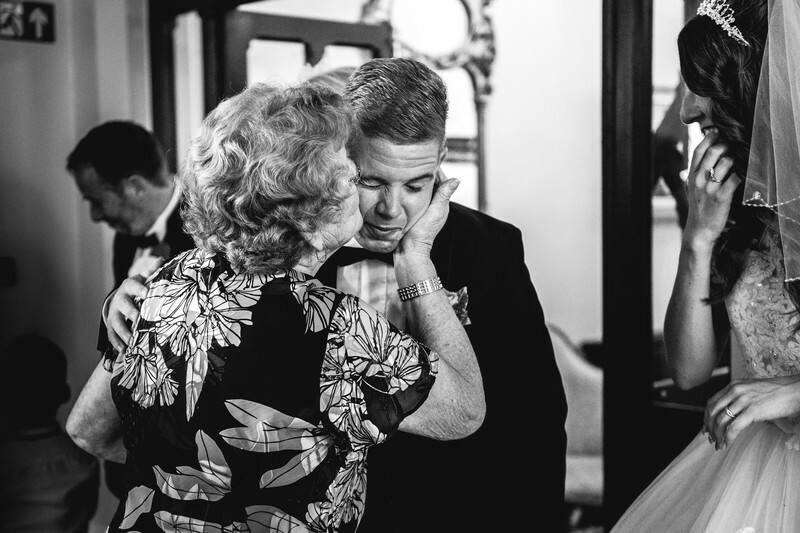 If the church has a special connection to yourself or your family, you may wish to go back inside the church once everyone else has exited, in order to get some special photos of just the two of you. 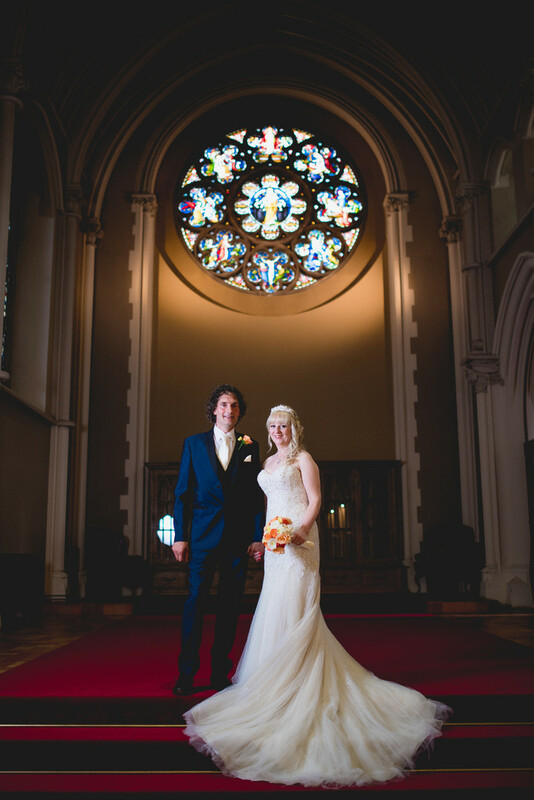 It's amazing how the ambiance changes when the church is empty, and it's always a great place to take some amazing wedding photos. 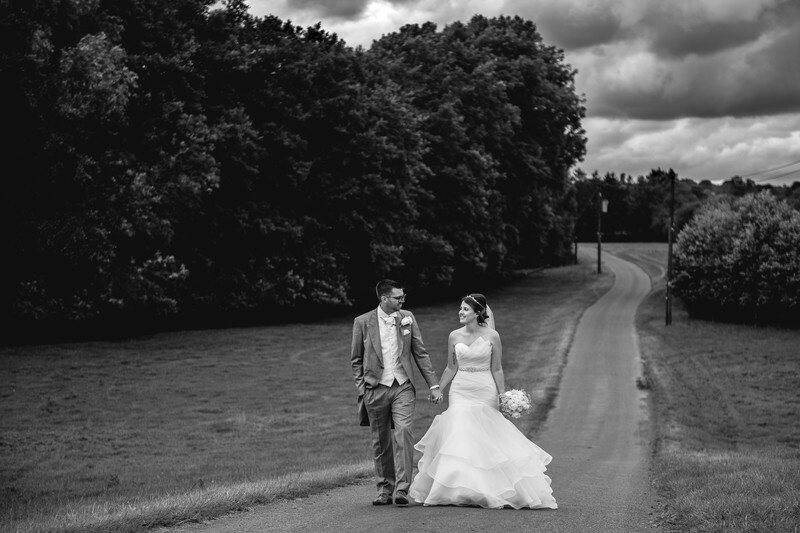 8) As always - talk to your photographer! 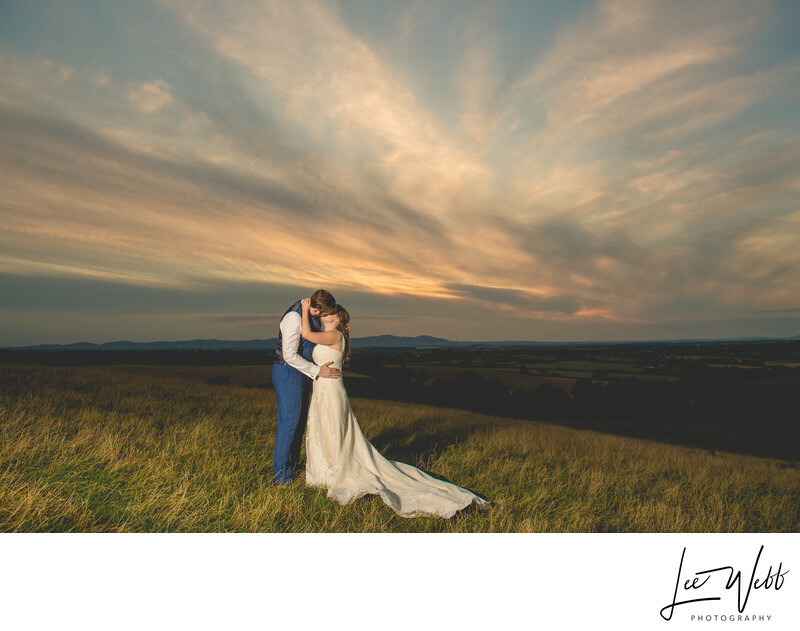 I've said it before but it's worth stating again; a professional wedding photographer will bring with them a vast amount of experience. If you have any questions to ask or ideas to run by them, don't be afraid to drop them a line and inquire. My clients can contact me for matters like this 24/7, 365 days of the year.